You are fed up with updating the class path of all your projects each time you add or remove one dependency! IvyDE will help you ! Better ... it will work for you! Indeed, IvyDE can manage for you all your dependencies, based on a dependencies descriptor file (like ivy.xml file) it will provide a class path container for your IDE. Obviously IvyDE class path container can be based on a ivy.xml file, but it also manages Maven pom.xml file! You've just installed the IvyDE plugin from our updatesite, and now you want to enjoy it quickly! 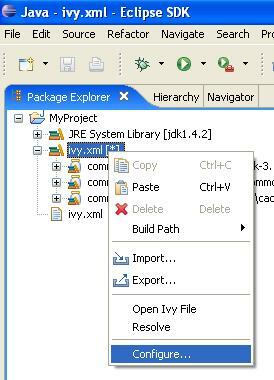 Ensure the ivyconf URL is set in your project properties or eclipse preferences. 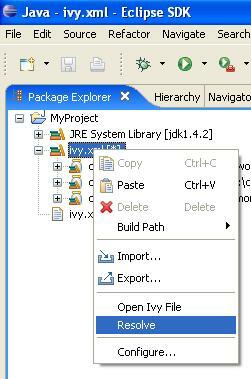 Ensure the ivy.xml file or maven pom.xml can be accessed under the project folder of your eclipse "Navigator" view. 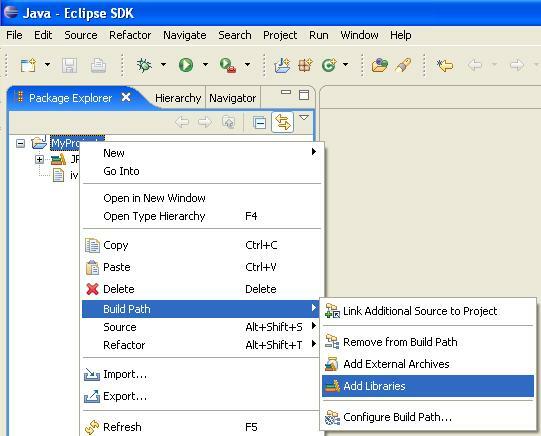 Open the "Add Library" form of Eclipse (In package Explorer, in popup menu of your project choose : [Build Path]/[Add Libraries]). Select "IvyDE Managed Dependencies" item. 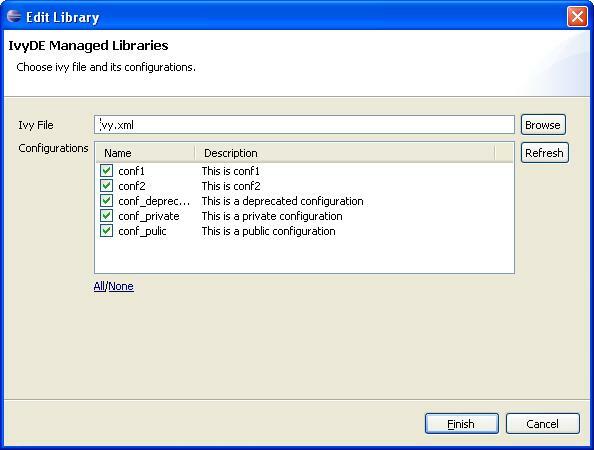 Select an ivy.xml file or a maven pom.xml and the desired configurations. Your class path is set and you can see all dependencies in one unique folder of the package explorer (folder name = &amp;lt;ivy file name&amp;gt;[&amp;lt;configuration&amp;gt;]). 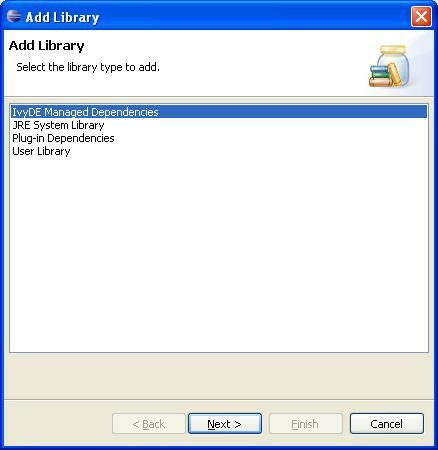 These properties can be accessed by contextual menu of the IvyDE class path container. You can explicitly ask for a dependencies resolution from your class path container. This command will invoke the "resolve" ivy task and update your class path container. The Ivy console provide you all the Ivy working traces that you were used to see in your command console. This view will be really useful to understand what Ivy and IvyDE are performing for you. The Ivy Console can be accessed with your eclipse Console view, selecting the "Ivy Console" item.